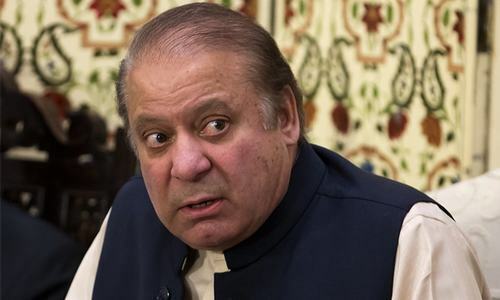 The second quarter of the financial year is going to end on Dec 31 but the Prime Minister Education Reforms Programme is yet to receive funds from the federal government. The programme was initiated by former prime minister Nawaz Sharif in Dec 2015 for the upgrading of all 423 educational institutions and only 22 schools have been upgraded in two years since. The Capital Administration and Development Division (CADD) had picked 200 schools to upgrade in the second phase of the project, which is facing delays due to red tape and for which no funds were released in the second quarter of the fiscal year which should have been released in the first week of September. According to sources, CADD does not have money to pay contractors who were to complete work on the 200 schools by the end of December. However, only 35pc of the work has been done yet. “You cannot expect contractors to expedite work when you do not pay them,” a CADD official said. He added that the ouster of Nawaz Sharif and his daughter has jeopardised the project. Officials in CADD said Rs800 million were released by the government in the first quarter of the financial year which has been spent and there is no development on the request CADD made for Rs900 million. The reforms package included improving the physical infrastructure, the recruitment of teachers on merit and the appointment of an executive director and director general for the Federal Directorate of Education, which are yet to be done. “Work has slowed down but has not stopped. We are waiting for the funds and the issue will be resolved soon, hopefully,” said Waqas Farid, the project director, adding that the deadline of Dec 31 was fixed for the upgrading of 200 schools provided the funds were released on time. When it completes the second phase, the government is to upgrade the remaining schools in the final phase, which seems difficult to achieve. 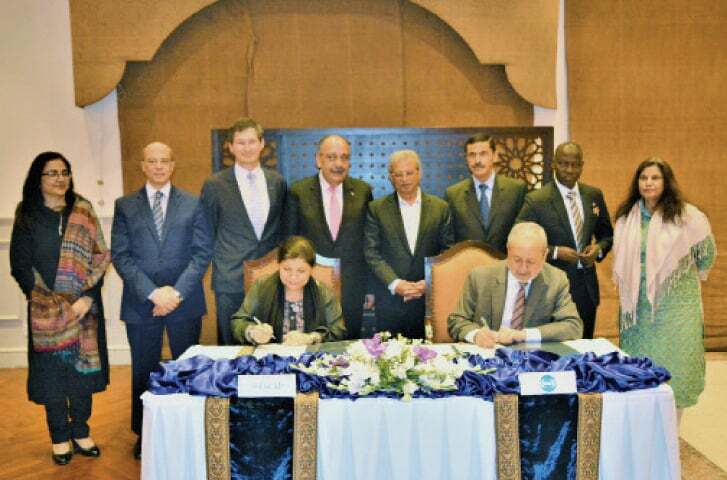 The United Nations Economic and Social Commission for Asia and the Pacific (Escap) and Commission on Science and Technology for Sustainable Development in the South (Comsats) have signed a Memorandum of Understanding for cooperating in research. The MoU was signed by UN Under Secretary for Escap Dr Shamshad Akhtar and Comsats Executive Director Dr S.M Junaid Zaidi in Islamabad. Federal Minister for Science and Technology Rana Tanveer Hussain was the chief guest on the occasion with federal secretary Ministry of Science and Technology Yasmeen Masood, ambassadors from various countries, UN resident representatives and diplomats from various missions also present. According to the agreement, Escap and Comsats will promote cooperation in research and joint publication, organise and participate in joint events and conduct capacity building and training workshops. Escap will also undertake measures and initiatives to strengthen Comsats’ activities including the network of centres of excellence and consider joint publications and exchange of information and documents on issues of mutual interest and experts in various fields. Escap will also provide support to enhance Comsats’ membership drive. Speaking on the occasion, Dr Akhtar appreciated the role of the Ministry of Science and Technology in promoting research and innovation culture in the country. The Federal Minister for Science and Technology said cooperation of this kind will be beneficial for Pakistan and all developing countries that are part of Comsats.